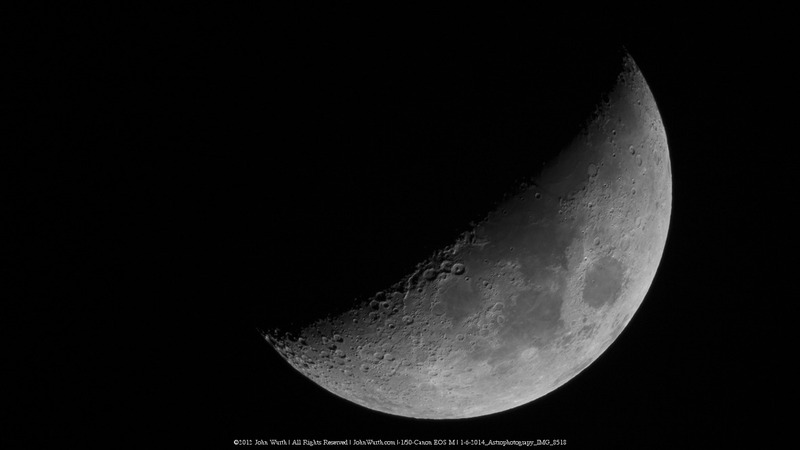 Taken with an EOS-M shooting through an old Meade telescope (90mm x 1000mm f11) with a fotodiox EF to EF-M adaptor and a Canon 1.4x teleconverter. Effectively, a slow, optically not so hot 1400mm lens. The EOS-M continues to charm me with its flexibility.